West Ham United star Robert Snodgrass has thanked the away fans for their unbelievable support at Old Trafford on Saturday and insists they always appreciate effort from the team. Manuel Pellegrini’s men suffered a 2-1 defeat at the hands of the Red Devils on Saturday as two debatable penalties from Paul Pogba, either side of an equaliser from Felipe Anderson, settled the game. Despite the result, the Hammers gave a good account of themselves and were backed by a substantial number of fans, who extended their support on the road. And Snodgrass has thanked them for their unbelievable support even when they were losing and insisted the Hammers faithful always appreciate the effort, irrespective of the result. 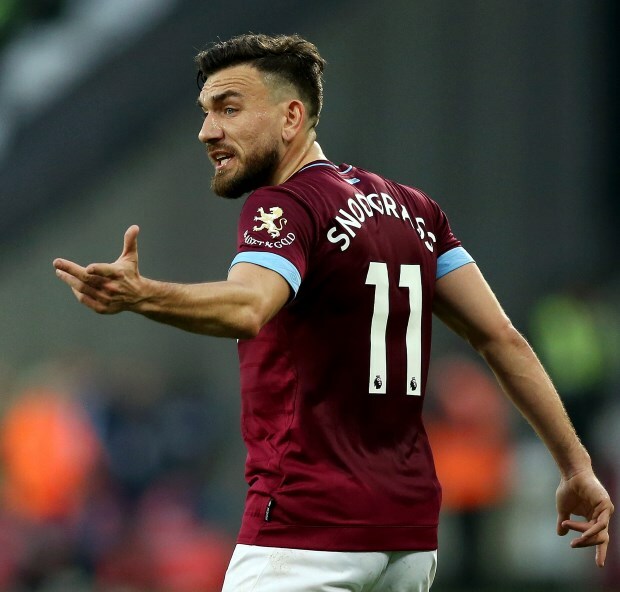 “The fans are unbelievable, cheering us on even though we lost because they know and they appreciate what it means when you give everything for the badge”, Snodgrass told the club’s official website. The West Ham winger also lauded his team-mates for a brilliant second half performance at Old Trafford and went on to claim they played Manchester United off the park after the interval. “Sometimes it’s intimidating for teams to come here, but not today for us. "We were different class, we played Man United off the park in the second half and created a lot of chances”, he added. West Ham, who continue to remain just outside the top half of the table, will next face Leicester City at the London Stadium on Saturday.